Keith Colburn was born on 10 March 1963, in Placerville, California USA, and is a fisherman and reality television personality, best known for being part of the Discovery Channel documentary television series “Deadliest Catch”. He’s been active as a fisherman since 1985, and all of his efforts have helped put his net worth to where it is today. So just how rich is Keith Colburn? As of late-2017, sources inform us of a net worth that is now over $2 million, earned through success on television and in fishing. He is also a businessman and a cook, working in French cuisine and releasing his own line of sauces. As he continues his endeavors, it is expected that his wealth will also continue to increase. Keith started his fishing career in 1985, working as a commercial crab fisherman. He also developed his cooking skills, and worked in French restaurants where he would become an executive chef, which endeavors started to increase his net worth significantly. Thanks to his success in crab fishing, he was eventually approached to become a part of the television series “Deadliest Catch”, which airs on the Discovery Channel; the show chronicles the events of various fishing vessels in the Bering Sea during crab fishing seasons, and derives its name from the inherent danger and high risk associated with this line of work. It’s run for a total of 13 seasons to date, and has become very popular, increasing the cast’s net worth considerably. The show has also spawned a variety of specials, such as “After the Catch” and “The Bait”. 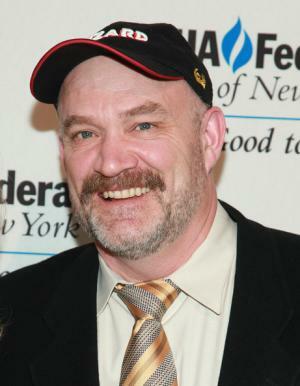 Unlike most of the cast members and prominent fishermen featured on the show, Colburn is a first generation fisherman, and originally worked on the ship called The Alaska Trader. Eventually, he started working on the ship calledTthe Wizard, and would work his way up the ranks to eventually be promoted to Skipper. His success in fishing led him to buy his own fishing vessel called The Sirene, but he continued to operate the Wizard, and in fact sold his rights to The Sirene after a government-run fleet reduction program. He continues to be the captain of the Wizard. He started appearing during the King Crab season in the “Deadliest Catch” show’s third year, since when he’s continued to be a part of the series. He was also a part of the six seasons of “After the Catch”, and the two seasons of “The Bait”. Colburn has been known to drive his boat further north to catch crab, and one of his record-breaking years was when he raked in 540,000 lbs of snow crab in a season, where an average catch was only at 130,000 lbs. He also achieved a similar feat a few years later, when he caught 400,000 lbs of crabs in the far north. Keith’s also ventured into other businesses, creating his own product line of dry rubs and sauces called “Captain Keith’s Catch”. The product line started appearing in grocery stores in 2015, and has contributed consistently to Keith’s net worth. For his personal life, it is known that Colburn was married to Florence for 25 years, and they have two children. However, they have apparently divorced as of September 2017, about which Keith is reputed to be somewhat unhappy. 1 Father, with Florence Colburn, of son Caelan Colburn and daughter Sienna Colburn.